If your not familiar with FitFluential, then you are missing out on of the best resources for athletes and gym rats in the world. This week we interviewed Marissa from FitFluential about their rapid growth and fostering a supportive and positive fitness community. 1)How did FitFluential get started? What was the idea behind starting the company? FitFluential began because we realized that with all of the amazing fitness and health bloggers out there, there was still something missing – something to bring them all together. We wanted to create a network of the most influential health and fitness bloggers, to bring them together and to provide them with new opportunities. The mission of FitFluential is to help you find your fitness – hence our motto, “Fitness Found.” We know that there’s no such thing as “one size fits all.” We are all unique and different things work for different people. Our goal at FitFluential is to curate and create the highest quality content, with real and accurate information, so that everyone can find their fitness. In turn, we want to repay the bloggers in our network by providing them with opportunities to work with brands they know and love. We’re creating the connection between people and brands who al share the same passion – to be healthy, fit, and the best they can be. 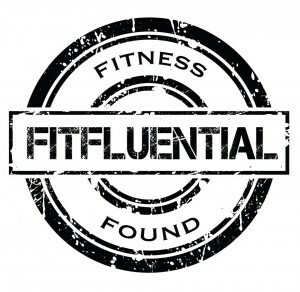 2)You guys have a HUGE social presence with tons of bloggers being affiliated with FitFluential, what were some keys to growing your social network? We have come a long way during my time at FitFluential, and recently surpassed 100,000 followers on Twitter, which was a huge milestone for us! Of course, it wasn’t always this way – when FitFluential first started, we were at zero. But I think that what caused people to follow us and join our network was because of our mission. We accept people regardless of age, weight, size, gender, or skin color. And we don’t restrict our content to one specific type of exercise – we include running, yoga, functional fitness, strength training, and more. There’s something for everyone at FitFluential. And the giveaways from our brand partners certainly don’t hurt! We constantly have giveaways happening on FitFluential.com and in Twitter chats so that our readers have the chance to try new products from their favorite brands. 3)How has the explosion of (CrossFit) aka Functional Fitness effected FitFluential? CrossFit and Functional Fitness has affected our content, providing us with new, exciting things to try and to research. We love the camaraderie that you can find at your local box, and it has provided our bloggers with new adventures and things to try! Many of our bloggers have fallen in love with the CrossFit culture, and that helps us connect them with brands of like kind. We’ve written several articles on this topic, as many of our brand partners have also noticed this “explosion” and wanted to become part of it as well. 4)How can you see FitFluential Growing in 2016 and beyond? What’s on the horizon? FitFluential has big plans for 2016! We are looking to expand our services, with more ways for brands to work with our bloggers. We’re also looking forward to utilizing more aspects of social media, and helping our audience connect more with each other. We’ve recently begun a bi-weekly ‘community’ chat, in which we offer prizes and encourage conversation between participants. We’re also offering a free 7 Day Kickstart to a Healthy Lifestyle with every newsletter signup, something we’re very excited about! 5)WeightLiftingGloves.com is a company who’s goal is to protect athletes hands for more effective workouts, what’s your opinion of gloves, hand or wrist protection at the gym? Do you personally use anything to keep your hands healthy? I think that weight lifting gloves are a huge benefits to lifters and recreational fitness lovers alike! As a group fitness instructor, I have often recommended weight lifting gloves to my students who are looking for better grip and to protect their hands. I have torn my hands on a pull up bar before, and it’s definitely not a pleasant experience- especially with all of the germs found in gyms these days! I’ve also noticed a huge help with my grip when wearing gloves – I would definitely recommend them!